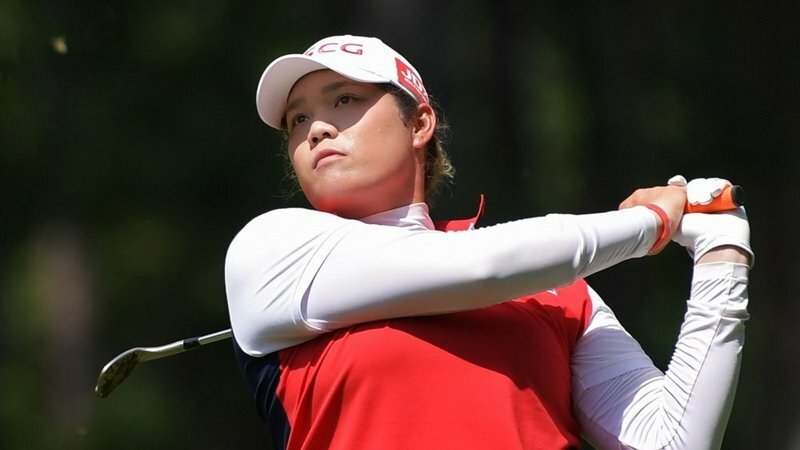 GOLF: Thailand’s Ariya Jutanugarn chases her second consecutive major title and the world number one ranking when the Women’s PGA Championship begins today (June 28) at Kemper Lakes in suburban Chicago. The 22-year-old from Bangkok, whose first major win came at the 2016 Women’s British Open, is among the favourites at the year’s third major after winning the US Women’s Open earlier this month. “The main key for me this year is I never think about the outcome,” Ariya said. “When I think about the outcome, it doesn’t really help me to be a better golfer because I start to get worried. I start to think about the things I can’t control. Ariya leads the LPGA this season in prize money, scoring average, putting and birdies. She has been par or lower in 19 of her past 20 rounds with 10 top-10 finishes this season, including wins at Kingsmill and the Women’s Open. But that success makes it awfully hard not to think about outcomes. Ariya would surpass $2 million (B66.11mn) in season prize money with a victory this week. She’s already on pace to become the first woman to win $3mn (B99.16mn) in a season. She has moved on from a seven-stroke collapse in the final round of the US Women’s Open, which she won in a play-off over Kim Hyo-joo after her epic back-nine slide. A talk with coaches Pia Nilsson and Lynn Marriott helped Ariya’s perspective. “After my Sunday, I feel bad. I don’t know what’s going on, why I have to have like a seven-shot lead and have to go to play-off,” Ariya said. Ariya, who plays the first two rounds alongside top-ranked Park In-bee of South Korea and US defending champion Danielle Kang, has the best chance of four players who could dethrone Park from atop the rankings this weekend. Ariya and third-ranked American Lexi Thompson need to finish first or second to have a chance while China’s Feng Shanshan and South Korean Ryu So-yeon must win to have any chance at ousting Park, a three-time Women’s PGA winner. Thompson, who plays alongside New Zealand’s Lydia Ko and Ryu the first two days, shared fifth at the US Women’s Open and third last week while Ryu comes off a win two weeks ago at the LPGA Meijer Classic.